Only top quality tights and stockings are produced by the well –known hosiery brand of the UK – Aristoc. 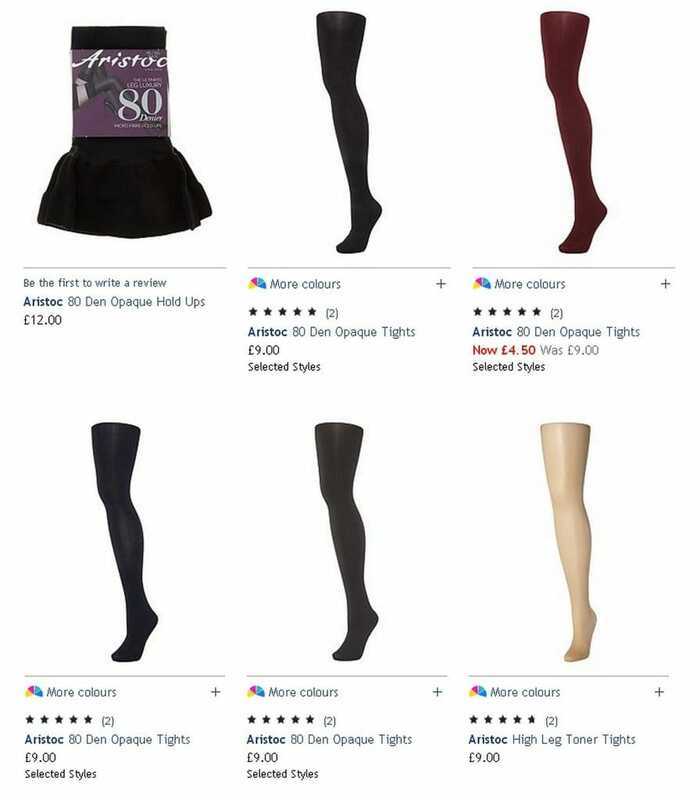 This brand managed to prove that stockings and tights have significant meaning in the wardrobe of any woman, and this is not simply an unnoticeable accessory. There are a lot of various colors and styles of their products. Cutting –edge technologies and application of the materials of the highest levels are the guarantees of the top quality of the final products. With the best traditions of their production Aristoc continue to base their production in the Amber Valley in Derbyshire. It is hard to imagine women not wearing tights, especially if these are fabulous tights with feminine styling by Aristoc. Tummy and thighs look stunning due to the knitted tummy control panel and longer line pant will create a shapely bottom, this is a perfect option for special occasion to be worn with cocktail or evening dress or costume. A touch of silk adds finishing to tights and protects the skin from drying, making the process of wearing comfortable and unnoticed. 15 den ultra support knee highs could become good option for those situations, when tights are not appropriate. Feminine and stylish are the tights with the knitted tummy control panel and longer line pant. They contribute to shaping of the bottom part, as well as tummy. Wearing this tights a woman would not feel any discomfort, instead they are able to moisture the skin, which contributes to smooth feel effect. For sensitive and stylish women there are Lace Holds Ups. They are exquisitely detailed and reveal their sheer luxury due to embroidered floral lace top. When you special occasion is approaching, choose fabulous tights with a velvet touch opaque leg to underline your individuality and make your outfit finished. They are especially applicable for colder months.